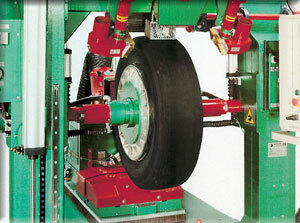 The Retread is the process of retreading of bald tyres in which it is saved and reused the 80-90% of the material and by which you can save around 80% of the cost compared to the production of a new tyre. 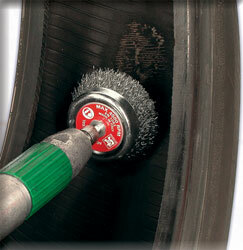 In the sector Tyres Retreading the Brushes are fundamental in every processing phase to guarantee the quality and the safety of the retreaded tyre. 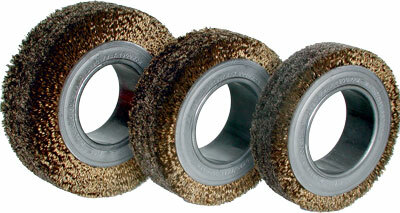 SIT offers a wide range of Technical Brushes in brass-plated steel cord LIZ engineered and ideal for rubber brushing. 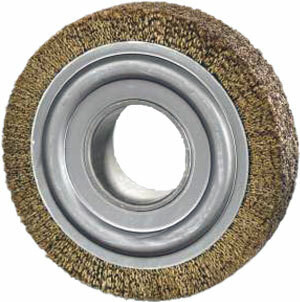 The bald tyre casing is initially cleaned from mud and dirt using Cylindrical Brushes in synthetic or metallic filaments. 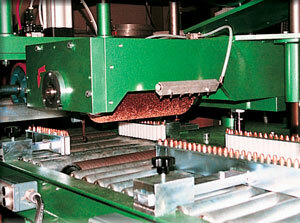 This processing is handy to the user to check more precisely and in safety the casing and not to dirt the retreading machine. 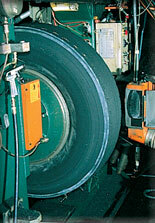 After the initial cleaning a closer inspection takes place with the help of automatic machines to verify the suitability of the tyre to retreading. 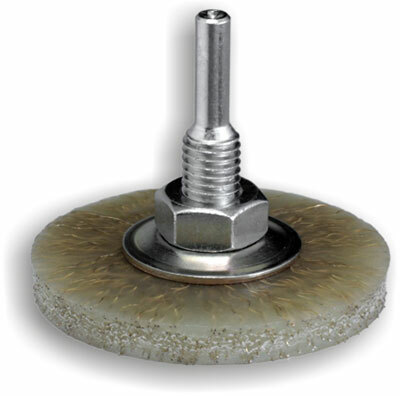 If this is the case the user repairs with brushes some of the points before proceeding to buffing. 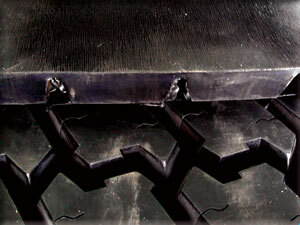 During the phase of Repair of the Casing in particular, the use of wheel brushes with 40 to 80 mm diameter with shaft or with hole with crimped wire filaments, mounted on electrical or air operated tools is indispensable to remove the rubber from small tyre craters, while the use of circular brushes with diameters ranging from 50 to 70 mm with shaft in filaments of crimped iron drowned in polyurethane is especially effective in the removal of rubber from the metallic net of the casing. 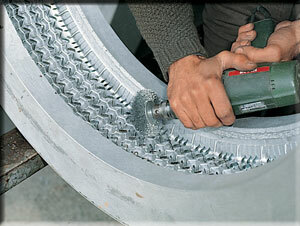 The operation, which is indispensable to remove the used part of tread still attached to the casing, is possible thanks to the use of Liz Wheel Brushes in strand iron with external diameter from 100 to 230 mm and width variable from 15 to 65 mm which, used after some roughening using metallic rasps, allows to brush the sides of the casing, but also thand cleaning and the removal of small quantities of rubber in the central part, making the casing completely rounded in order to obtain a better performance of the tyre on the road. 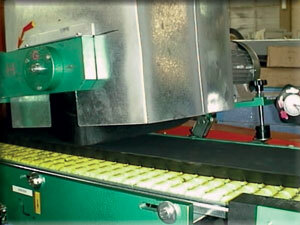 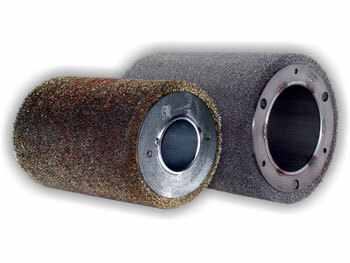 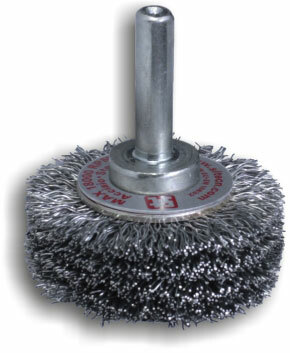 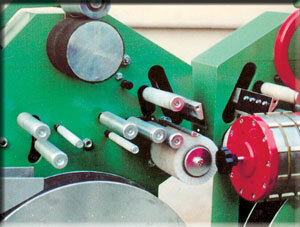 Liz Wheel Brushes with shaped profile in steel are used for brushing/cleaning the beads of the casing. 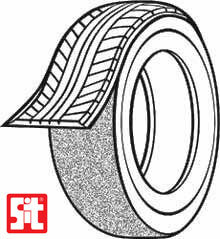 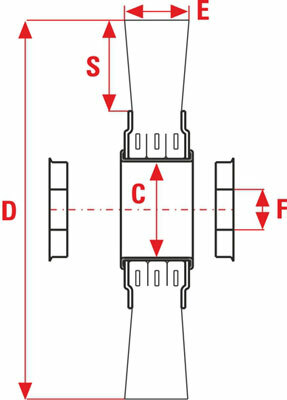 F* : For the standard read the page related to adapters for wheel brushes. 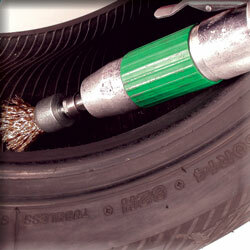 Cylindrical Brushes in filament of nylon, suitably shaped, are used to build/add the lower layer on the tyre. 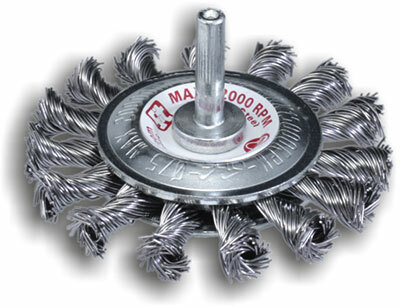 More, with other cylindrical technical brushes in nylon, but of smaller size you can apply the sticking anticracking band upon the casing sides. 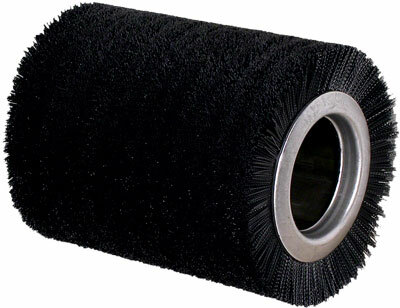 Wheel brushes or tip end brushes with shaft mounted on electrical or pneumatic tools are used for the Cleaning of the Vulcanization Mould in the hot retreading. 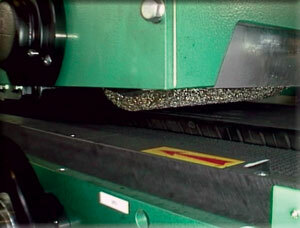 Moreover Linear Brushes in filaments of horsehair o in filaments of thin brass mounted on sheaths are used as withhold smokes, dust and fragments of rubber in all the the machines for tyres and for i the retreading process.